SYRACUSE, NY (WRVO) – Members of Congress from New York, on both sides of the aisle, are focusing in on how their parties can win seats in November’s midterm elections. The economy and women are two factors that could push each party towards victory. 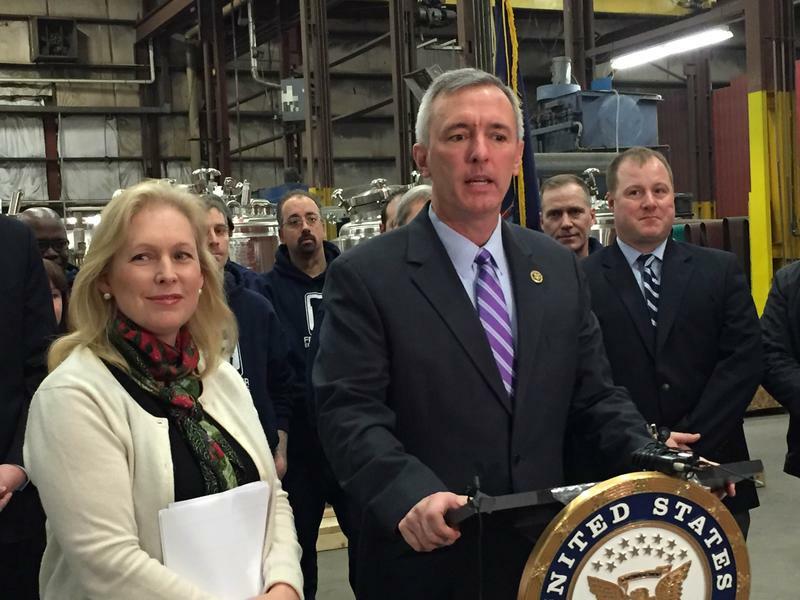 Central New York Rep. John Katko (R-Camillus) and Finger Lakes Rep. Tom Reed (R-Corning) both agree; to win in the general election, Republicans need to focus on the strong economy. Reed said Republicans should celebrate the low unemployment rate, which is at historic levels for the black and Hispanic populations and promote passing tax cuts. Katko said he will run on what he has been able to accomplish in a Democratic heavy district. Sen. Charles Schumer (D-NY) said Democrats need to focus on jobs and the middle class. Grant Reeher, a political science professor and director of the Campbell Public Affairs Institute at Syracuse University said setting aside national trends, how the economy is doing in central New York is more complicated. The unemployment rate in the Syracuse metropolitan area has been falling since the start of the year, but it was still a percentage point higher than the national rate was in April. “It’s harder to make the case the economy is doing really well if people in upstate New York are still struggling, and they are,” Reeher said. Another factor that could tip the scales in November is the amount of women running for office, more than 400 in the House and Senate, especially among Democrats. That is something Democratic Sen. Kirsten Gillibrand (D-NY) said she is excited about. Reeher said that enthusiasm, during a midterm election, where turnout is usually lower than a presidential year, has the potential to push a candidate over the top.